Ability Academy began with a dream of NFL star, Matt McCants. He brought his idea to The Arc, and now we work as a team to provide an opportunity unlike any other in the state. Football lovers ages 7 and up who have an intellectual or developmental disability will have a chance to participate in a half-day, mini-camp teaching football ability beyond their disability. Participants will have the chance, perhaps for the first time, to raise their football IQ and become a part of the pastime of Saturdays in the South. They will be exposed to fundamentals such as offense, defense, scoring, and football terms. Volunteer coaches from college teams and the NFL will work on skills basics such as stretching, passing, catching and running drills. Camp activities will take place in the morning followed by a post-camp team lunch! $25 camp fee includes camper t-shirt, snacks, drinks, and lunch for camper and caregiver. Join us for a one-of-a-kind football camp for people with intellectual and developmental disabilities! Check back later for 2019 Ability Academy Registration, or sign up here to receive Arc event emails. We need team members from our community to join us and score a touchdown with this special event! 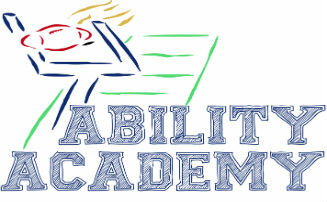 Ability Academy brings together people with intellectual and developmental disabilities, their families, volunteer coaches, and supporters from the community, and we invite you to join us. When you sponsor Ability Academy, you can connect with a broad and local consumer segment and promote your concern for the most fragile population in our community. – Logo on all promotional materials including, but not limited to, posters, flyers, registration forms, emails, etc. Check back later to register as a volunteer for Ability Academy 2019, or sign up for volunteer email updates here.